In many industries, from automotive, retail and residential building to manufacturing, medicine and transportation, intelligent technology is rapidly becoming the norm rather than the exception. Companies are embracing the concept of integrating Internet connectivity with automation and data exchange in order to streamline operations, maximize efficiencies, lower costs, and provide optimal customer service. In fact, this concept of smart technology via Web connectivity has evolved as an indispensable resource for business survival and growth in the Information Age. While numerous industries are leveraging the benefits of Interconnectivity, also referred to as the “Internet of Things”, when it comes to the construction arena, the idea of applying Interconnectivity is gradually catching on. Machine tool, construction firms and materials manufacturers are embracing the leap to Interconnectivity, while continuing to use conventional means of communicating and sharing information — relying on email, notepads, the telephone and in-person contact to service customers, gather information and get business done. One supply manufacturing firm is at the forefront of technological innovation, venturing headfirst into adopting the Industrial Internet of Things, also known as IoT, and with outstanding results. 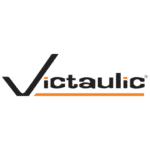 Victaulic — the world’s originator and leader in the development and production of mechanical pipe joining solutions — has fully embraced Interconnectivity, and today stands as a unique example of how the Internet of Things can be implemented to reach new milestones in construction while adhering to exacting standards and providing exemplary customer service. Victaulic’s commitment to adopting a state-of-the-art blend of automation and data exchange technology is resoundingly evident in its revolutionary — and intelligent — RG5200i Roll Grooving Tool. Victaulic’s RG5200i Roll Grooving Tool represents the perfect union of state-of-the-art, hands-on industrial problem-solving with the integration of Internet technology. The result: superior quality that meets clients’ most challenging pipe joining issues. Incorporating the industrial Internet of Things has allowed Victaulic to provide more exacting standards, broad connectivity, heightened data protection and security, enhanced safety and increased client confidence. The company is leading the charge in utilizing the Internet of Things to full advantage, while changing the face of advanced industrial pipe joining and capturing the attention of industry experts globally. Introduced in the summer of 2016, the patented “Intelligent” Roll Groover RG5200i is a multi-faceted, fully automated, computerized grooving tool earning high praise from business owners, fabricators, and contractors. Fabricators and operators who previously felt stymied by continuous manual adjustment of conventional pipe-joining apparatus are now extolling the advanced technology, Internet connectivity, superior quality, enhanced operator safety, ease of use and time-saving capabilities of the RG5200i. With software created specifically for the tool’s applications, clients can export grooving data internally or externally. The tool allows Victaulic to store all data related to a customer’s grooves, as well as conduct remote troubleshooting and other types of services such as managing software revisions and adding tool functionality. Quality and traceability of grooves are also high priorities; connectivity gives Victaulic engineers a window into fabrication metrics both locally and remotely. Additionally if a customer has an issue with a groove, the problem can be reviewed and resolved remotely in real time. Similarly, IoT connectivity allows for real-time troubleshooting as well as application assistance. Machine tool builders as well as construction and manufacturing equipment companies are using the IoT and applying appropriate hardware and software applications to connect customers with their headquarters, explains Matthew Puzio, Senior Electrical Engineer at Victaulic. This technology is being adapted for predictive maintenance, allowing clients to review sensors and obtain feedback from devices in machines remotely. It communicates with analytic software back to the ‘mother ship’ to interpret that information, allowing machine tool operators, construction managers and fabricators to make decisions such as whether they have the right hardware, and whether they are operating at peak efficiency. It also conveys whether a shop might want to retrain an operator or find a new materials supplier. The RG5200i is at its core a problem-solving tool. In a demanding industry that traditionally has required manual interaction to fabricate pipe, the RG5200i is a major milestone. 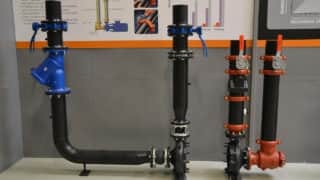 It’s a unique combination of IoT technology and state-of-the-art engineering that makes pipe fabrication smarter, safer, more cost-efficient, less time-consuming, and more precise. The tool eliminates guesswork by leveraging the latest in measurement technology and industrial controls. Not only does it take the guesswork out of manual measurement for fabrication, it greatly enhances worker safety and mitigates personal and financial risk. According to Mr. Puzio, the range of benefits of the RG5200i is extensive — fulfilling requests from countless owners and contractors for a more precise fabrication tool that increases productivity while keeping site workers safe. “Today everyone has a focus on safety, but owners and contractors are equally concerned about the ability to produce precision grooving expeditiously and cost-effectively,” Mr. Puzio says. He adds that in fabrication shops today, “it’s safety first.” In fabrication environments, the slightest mishap can result in an immediate work stoppage. The innovative technology inherent in the RG5200i tool “builds confidence in the user; it basically allows anyone to use it, be it a newcomer or a 20-year veteran,” Mr. Puzio says. Previously workers in the field had to take measurements and manually record data to ensure that the groove was made to specifications. “The time it takes to record all groove dimensions was significant,” Mr. Puzio explains. The RG5200i roll grooving unit records dimensions automatically and, because of its Internet connectivity, allows them to transmit data from the tool via email or through each tool’s secure web server. Developing solutions to pipe-joining challenges is nothing new to Victaulic. For nearly a century, across a range of industries and in 140 countries, the company has been at the forefront of innovation in pipe-joining technology. Victaulic pioneered joining pipe with bolted mechanical grooved couplings, and over the years has consistently met the needs of diverse industries with continuous technological innovation. Industries from oil and gas to water to mining, wastewater and chemical generation all rely on Victaulic for groundbreaking solutions to pipe-joining challenges. Victaulic has seamlessly integrated Industrial IoT technology to help its clients to plan, execute and troubleshoot the fabricating process and gain a substantial edge over any competition. Clients remain confident that Victaulic technology will solve their pipe-joining problems while meeting their construction needs today, and into the future. The RG5200i roll grooving tool is representative of Victaulic’s commitment to leading-edge technology to meet the pipe joining demands of customers in the U.S., and around the world. To request additional information on Intelligent Roll Grooving: click here.